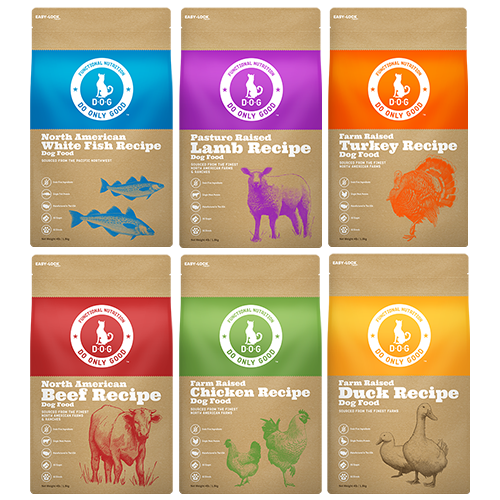 Our recipes are crafted with the finest natural ingredients that your dog needs to maintain a healthy, active life. 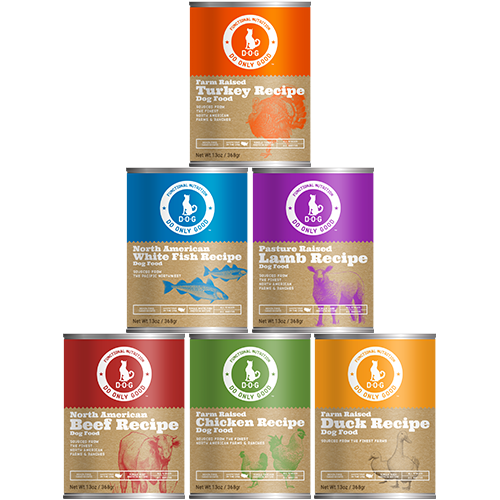 Enhanced with rich nutrients, vitamins and minerals, D.O.G foods are grain free, high-quality single proteins. Made from 100% responsibly sourced ingredients, our mission is to Do Only Good for your dog’s health and the planet. Our ingredients are only sourced from certified North American farms and fisheries, that meet all our animal welfare and sustainable requirements giving you the best freshest ethically produced product out on the market. Approved by leading Veterinarians and animal nutritionists for all breeds and all ages. Our food is made with a proprietary Nutri-Power Boost™ all-natural supplement that includes Chia Seed, Broccoli, Apple, Spinach Fiber and other nutrient rich foods to maximize the health and longevity of your dog.